Literacy is a fundamental skill that serves as the foundation for an individual’s future learning and, collectively, for a country’s social and economic development. The LAC Reads Capacity Program (LAC) aims to increase the impact, scale, and sustainability of early grade reading interventions in the LAC region through the development of state-of-the-art knowledge resources. It provides technical assistance to host country governments and other selected key stakeholders, and enhances their efforts to boost early grade reading outcomes, particularly for disadvantaged children. The program will create a self-sustaining infrastructure of skilled early-grade reading specialists and informed education sector actors at universities, Ministries of Education, NGOs, and community organizations. These actors will be part of a community of practice whose members remain connected to one another and actively use evidence to inform policy decisions and to implement approaches and actions to improve early grade reading in the LAC region. In order to achieve this, AIR and its partners will collect, synthesize, and disseminate high-quality research on early grade reading. In addition, a major focus of the team will be working with stakeholders to gauge needs and demand and then develop and provide demand-driven technical assistance to build the capacity of the region’s Ministries of Education. 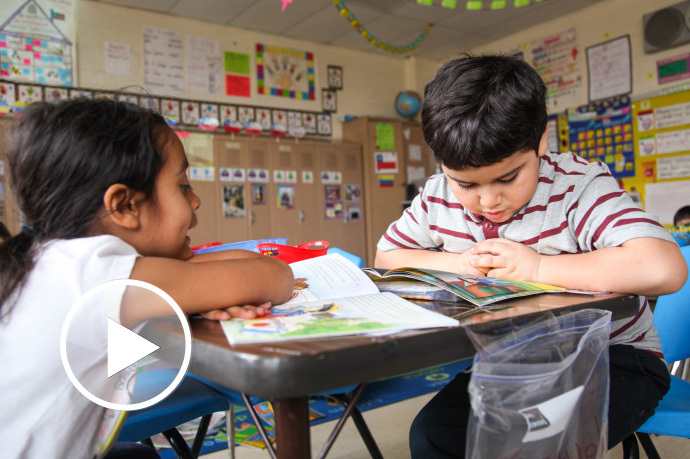 Expand institutional capacity to implement proven approaches for improving early-grade reading outcomes for poor and disadvantaged children. Continue and strengthen sustainable platforms to improve early grade reading in priority LAC countries. AIR is implementing the five-year LAC program in partnership with Juárez & Associates and local organizations across the Latin American and Caribbean region.